^ "Vlaamse Opera | Vlaamse Opera". Vlaamseopera.be. 15 January 2015. Retrieved 28 January 2015. Daniel César Martín Brühl González is a German-Spanish actor. He began his work at a young age in a German soap opera called Verbotene Liebe in 1995. In 2003, his starring role in the German film Good Bye, Lenin! received wider recognition and critical acclaim which garnered him the European Film Award for Best Actor and the German Film Award for Best Actor. Brühl has worked in both European and American productions in several different languages. Denis Ménochet is a French actor. Ménochet is known to international audiences for his role as a French dairy farmer interrogated by the Nazis for harboring Jews in the 2009 Quentin Tarantino film Inglourious Basterds. Inglourious Basterds is a 2009 World War II film written and directed by Quentin Tarantino. It premiered on May 20, 2009 at the 62nd Cannes Film Festival, before being widely released in theaters in the United States and Europe in August 2009 by The Weinstein Company and Universal Studios. The film grossed over $38 million in its opening weekend, making it the box office number one. 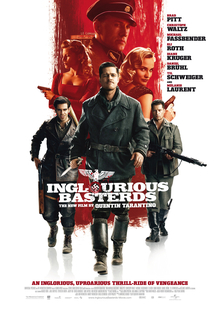 Inglourious Basterds opened internationally at number one in 22 markets on 2,650 screens making $27.49 million. 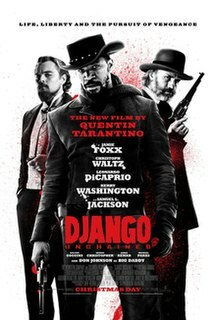 In total, the film has grossed over $320 million worldwide, making it Tarantino's second highest-grossing film to date, behind Django Unchained (2012). 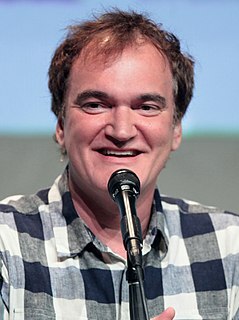 The following is a list of awards and nominations received by American director, producer, and screenwriter Quentin Tarantino. In 1994, for his work on Pulp Fiction, he was nominated for the Academy Award for Best Director and for Best Original Screenplay, winning the latter. He was nominated for the same categories in 2009 for Inglourious Basterds, and in 2012 he again won Best Original Screenplay for Django Unchained. 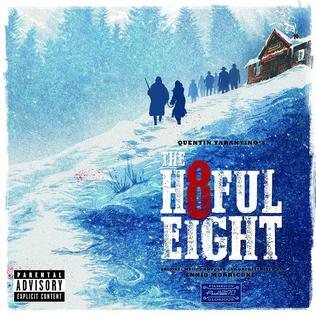 The Hateful Eight is the soundtrack album to Quentin Tarantino's motion picture The Hateful Eight. 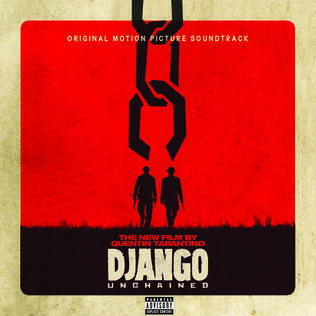 The soundtrack includes the first complete original score for a Tarantino film and is composed, orchestrated and conducted by Ennio Morricone. Morricone composed 50 minutes of original music for The Hateful Eight.